Body-Solid Pro Dual Pec & Rear Delt DPEC-SF Machine's dual overhead variable resistance cams allow each arm to operate independently, providing unilateral and bilateral chest, back and shoulder conditioning. The Body-Solid Pro Dual Pec & Rear Delt DPEC-SF features uniquely designed articulating pec arms to provide optimal; pectoral and rear deltoid development and has independent range of motion adjustments to accommodate users of all sizes. With gracefully curved frames constructed from sleek, power-coated tubing that exhibits a modern, design-forward aesthetic, the Body-Solid Pro Dual Pec & Rear Delt DPEC-SF builds form into function and value into a superior modular strength training system. Best of all, you can buy with confidence, because the Body-Solid Pro Dual Pec & Rear Delt DPEC-SF is built to last a lifetime and is backed by the strongest warranty in the industry! TheBody-Solid Pro Dual Pec & Rear Delt DPEC-SF is designed to provide an intense workout while eliminating strain, the Body-Solid Pro Dual Pec & Rear Delt DPEC-SF is hard to beat. Easy and convenient step-in design makes getting started a breeze. The Body-Solid Pro Dual Pec & Rear Delt DPEC-SF thick, comfortable DuraFirm™ pads reduce fatigue and discomfort allowing you keep working out. Rock solid support and stability is delivered via heavy-gauge steel frames with all-4-side welded construction. The fully shrouded weight stack offers a safe and attractive machine that is sure to be a hit in any facility. The Body-Solid Pro Dual Pec & Rear Delt DPEC-SF is specially designed to focus on your delts and pectorals. The Body-Solid Pro Dual Pec & Rear Delt DPEC-SF is one of the best ways to work your delts and pectorals in a safe and efficient manner. Call 1-800-875-9145 to chat with one of our fitness advisors with any questions you may have about the Body-Solid Pro Dual Pec & Rear Delt DPEC-SF. Order your Body-Solid Pro Dual Pec & Rear Delt DPEC-SF from FitnessZone today! 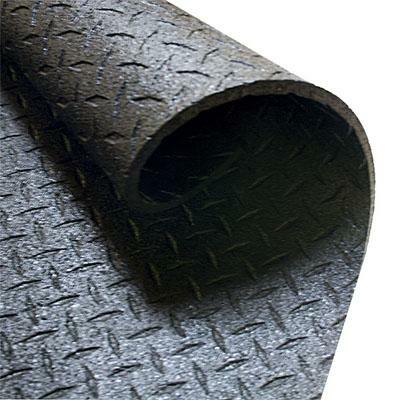 Designed and manufactured for workout intensity, comfort and value, these Super Mat Floor Protectors offer super heavy-duty solid rubber construction that absorbs the impact of free weights, home gyms, treadmills and kids rooms. 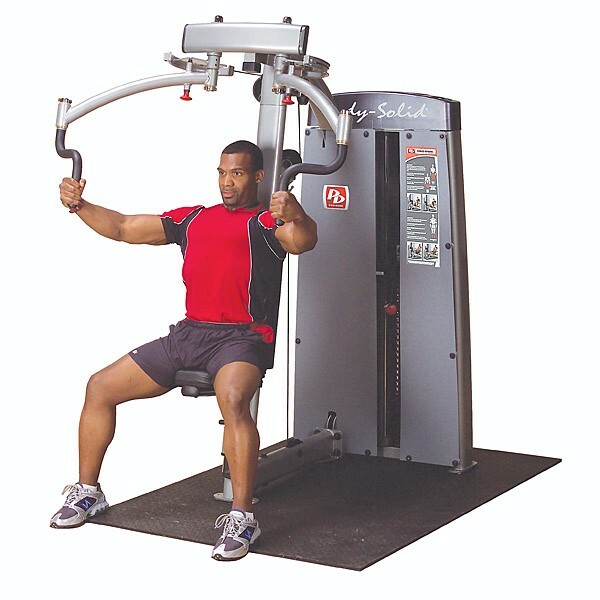 Order your Body-Solid Pro Dual Pec & Rear Delt DPEC-SF from FitnessZone.com today!